In an age in which brick-and-mortar doll stores are—with a few preciously rare examples—a thing of the past, the vast majority of doll collectors worldwide have been left to navigate the often-confusing world of online sales. I do a great deal of my personal, non-doll shopping online, and never have I come across a commodity that varies so drastically in price as collectible fashion dolls. At any point in time, the exact same doll may vary in price from $50 to several hundred dollars on multiple websites. For a new or unschooled collector, this can be more than confusing. Twelve years ago, when I made the move from Barbie to 16” collector dolls, most dolls were sold by brick-and-mortar doll stores or online retailers for a modest percentage off retail price. Dolls offered on the secondary market via eBay could be had for a bit less, but many dolls by highly regarded artists were in high demand and either held their value or increased in price—sometimes substantially. If a collector purchased a doll and found that she did not care for it, it was not difficult to recoup her costs—or more—on eBay. And in those days, eBay still stood by its sellers, so they were generally protected from dishonest buyers. And, as is the case now, doll boards were also generally safe marketplaces to buy and sell to other collectors. Shopping around among retailers, eBay, and doll boards was always advisable, but, in general, prices did not vary substantially. And then came the Great Recession. I think I can safely say that within the span of several months, my collection decreased in value by about two-thirds. Even now, it isn’t worth a great deal more. I doubt it will ever regain its former value. It was painful, to be sure, but I ultimately bought those dolls to keep. They were not my livelihood. They were my hobby. I couldn’t bear to part with most of them anyway, so I didn’t lose much. The same cannot be said for the brick-and-mortar doll retailer. 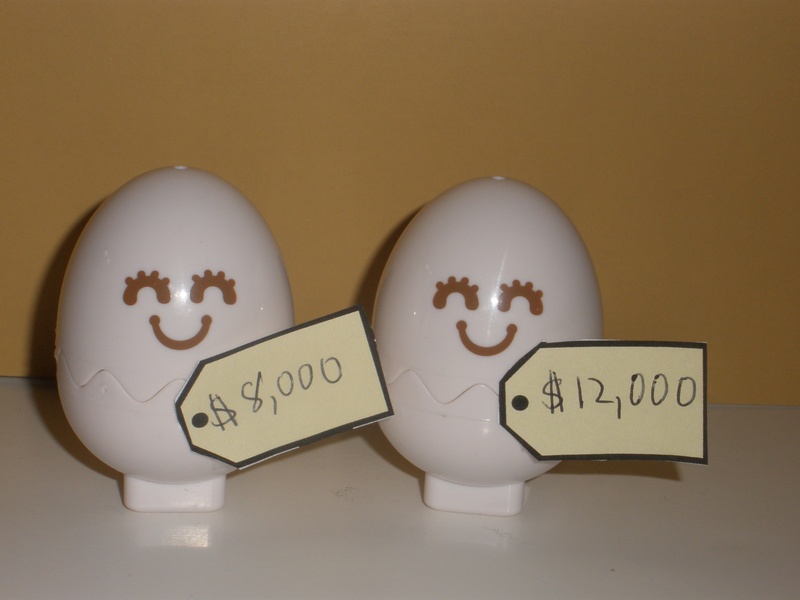 In the aftermath of the Great Recession, far fewer people were able to buy dolls that cost in excess of $100, so retailers were forced to drastically cut their prices and offer deep discounts to unload their inventory. Their already-small margins got smaller, and their rents went higher and higher. And so, one by one, store-based retailers disappeared from the physical landscape. Some store owners moved to solely online sales, and others simply left the retail business altogether. Many will tell you that today, seven years on from the painful fiscal memories of 2008, being even an online retailer does not pay the bills. One by one, doll retailers are disappearing from the marketplace altogether. Manufacturer direct are slowly but surely cutting out the middleman, and I believe they will soon be the only option for buyers outside of the secondary market. Independent artists who produce their art in small batches generally have no need for a middleman at all. All this has resulted in a vast array of prices that can be quite confusing to the new or infrequent collector. Based on my experience (and I spend way more time monitoring doll prices than I care to admit), buying dolls has become an exercise in patient research. Below, I break down the five main ways collectors make their dolly purchases and my tips on getting the most doll for your dollar. Online retailers. There are still some out there. Those that have survived have generally been in the business for a long time—often out of love as much as any financial reward (which generally gets less each year). Long-time retailers usually have a loyal following—customers who would not think of buying from anyone else. But as their pocketbooks continue to feel the pinch of a sagging economy, those customers are dwindling, and retailers must compete for sales with other sellers who often use deep discounts to unload their inventory. And retailers are increasingly competing with the manufacturers themselves, who are turning to discounted direct sales to sell their product. The biggest rule in purchasing a doll—regardless of where you buy it—is NEVER PAY RETAIL. The second rule: WAIT. For almost all fashion dolls I know of, the longer a doll is on the market, the further its price will go down. There are some exceptions to this rule—some convention dolls and uber-limited-edition FBJDs—but not many. The days of skyrocketing secondary market prices are over. Even one month can make a difference. After retailers sell to all of the suckers with deep pockets who must be first in line and are willing to pay full price, they will discount their product. The longer you can wait, the cheaper it will be. Impromptu sales are often the best times to grab those dolly deals. Make sure you are on the mailing lists of your favorite retailers AND your favorite manufacturers. Today’s sales can be frequent and generous—and it’s first come, first served. If it’s an announced sale, monitor that in-box often and make sure your Internet connection is a fast one. Doll boards. Fashion doll collectors are continually attracted to the next shiny object, and, like most people, their pockets are not bottomless. So, when the next pretty dolly catches their eye and they don’t have the funds to purchase it, they rob Peter to pay Paul. Collectors generally recognize that, these days, they usually can’t sell a doll for what they paid for it, so they’ll offer attractive deals. Doll boards are an increasingly popular place to unload unwanted dolls as eBay continues to institute seller-unfriendly practices that put sellers at the mercy of dishonest buyers. Suffice it to say that, if you scam a fellow collector, your name will be spread so quickly across the doll community you probably won’t be able to conduct your scam twice. Doll collectors who have been scammed frequently spread the name and/or eBay ID or screen name(s) of their scammers far and wide, limiting their ability to run their scam more than once. In all of my 12 years of buying and selling dolls on the Internet, I have never had an unpleasant transaction with a doll board member. My history with eBay, on the other hand, is littered with deals gone bad with dishonest buyers and seller to which I have lost money, with eBay doing nothing to protect me. One favorite site among collectors to buy and sell their ways has been the “Show and Sell” site of The Doll Page. For many years, Steve and Rae maintained this site out of the goodness of their hearts—never charging users any fees. Recently, the Show and Sell page fell victim to the relentless tide of changing technology, and Steve and Rae were forced to shut it down when their old software could no longer accommodate their needs. Steve and Rae provided an invaluable service to our community for a long time, and they deserve our deep gratitude. In February, several collectors launched what they hope will become an alternative to Show and Sell. Mister Dollface aims to serve as a platform for buying, selling, and trading dolls as well as a community for collectors to share and learn from one another. Based on its current look and feel, I have high hopes for this site, and I encourage everyone to check it out and take advantage of its services. 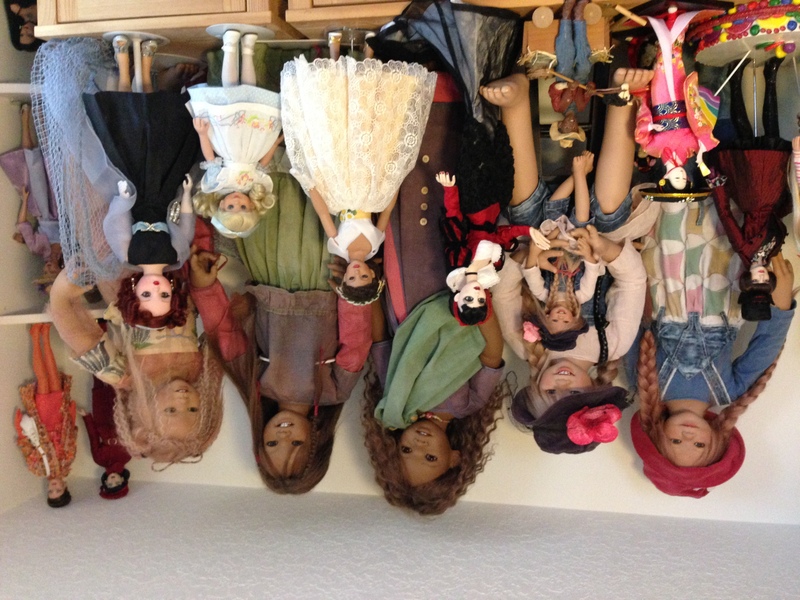 The bottom line is, doll board sellers frequently offer incredible deals, and it’s first come, first served. Keep your eyes open, and you may find a long-sought doll for a steal of a price—offered by an honest person. evilBay. So if doll boards are such a great place to buy and sell, why bother with eBay? The simplest answer: volume. eBay’s ubiquitous presence across the globe means that any items you place for auction or sale will be seen by a limitless number of people. And more volume means more cash. If your item appeals to more than one collector, you have the potential for a lucrative bidding war. Despite all of the transactions I conduct on doll boards, I am nearly always able to obtain a higher price on eBay. HOWEVER, the ever-escalating cut that eBay and PayPal take out of each transaction is giving me less and less motivation to use their sites. Add to that the aggravation of dealing with dishonest buyers and little or no seller protections, and those doll boards look more and more attractive. An alternative auction site reserved just for collectible dolls called dollbid was launched last year to provide doll collectors with an alternative to evilBay. As with any David going up against a Goliath, it experienced considerable difficulties getting underway. Today, visitors to the site are greeted with a message saying the site is being “updated.” We’ll see if its owners take another stab at it. IRL stores and shows. There is a handful left out there. If you are lucky enough to live within driving distance of one of the few remaining doll shops, GO THERE IMMEDIATELY AND BUY SOMETHING. Yes, you will likely have to pay more. Brick-and-mortar stores have overhead that online stores do not, and that needs to be taken into account. But you will not pay shipping, and you will be able to talk to A REAL HUMAN BEING about your purchase and hold it in your hands and examine it before you commit to purchasing it. If you do not live near a retailer, patronize a physical store that has an online presence. Remember, how we choose to spend our dolly dollars will determine the fate of the industry. The way we are currently purchasing our dolls means that the days are numbered for the few physical retailers that have been left standing. Doll shows are another way to make purchases “in real life.” But they are few and far between. Check out this year’s schedule to see if there is one scheduled near you. They are great fun to attend. Even if you don’t find anything to buy, the novelty of actually seeing dolls for sale in person is more than worth the effort of going. Manufacturer direct. More and more manufacturers are cutting out the middleman and selling direct to consumers. Some have been doing it this way for a while, and others are new to the practice. Whether this trend is good for the consumer is subject to debate. While many collectors like the personal contact and relationships they’ve cultivated with retailers, others appreciate not having to shop around for price. And going direct doesn’t necessarily mean higher prices. Manufacturers who have too much product on their shelves may offer deep discounts to liquidate their wares when necessary. It can take the new collector a while to learn how to navigate all of these choices in order to come up with the best price. I’ve been at it for 12 years, and I still manage to overpay now and again. But if you follow the two Cardinal Rules of Doll-buying, you should be okay: 1) Never pay retail, and 2) Hold your horses. If you take time to shop around and wait for a bargain … Chances are you’ll find one.